1stAmender - Are Corporations Evil? Here is My Answer. The act of a corporation being evil is something that has been a subject for debate for a long time. This article is just one diatribe of many that describe corporations and their existence. Whether or not a corporation exists to inadvertently harm people, or help people in the end. The issue about naysayers to corporations is they don't seem to understand the entire economy of scale whether coming from a producer surplus or consumer surplus. What am I talking about? Economics 101 of course. Specifically when it involves the producer and consumer surplus. Any product, no matter what it is creates both of these. Just for the sake of simplicity, here are the definitions + a graphic to help understand if you don't already know. Okay, now that we got that bit of economics out of the way, back into the question of corporations being evil. Let's take a corporation that most consider to be a bad one, and that they create more problems than anything. McDonalds. The cons of McDonalds are huge. People are getting fat and sick on their product. They put in additives, whether or not you believe in the pink gunk debate is it's own argument alone, pollution and many other things. Just the act of having McDonalds makes people think they are better than you. People simply do not like McDonalds. So why aren't they gone? Why are they all over the world and doing better than ever? Simple. They produce an extremely cheap product that for the most part does the job you wanted it to do. It feeds you. While you may not think that McDonalds has any benefit, the benefit is you get a burger for $1. You are full with a drink and everything with just $4. You can get the salad, but people don't eat it. They don't want the salad. The point I'm coming across is you don't see the countless people too busy with their lives to consider going out and making a nice home-cooked meal or going out to some restaurant. People are busy and the time saved by McDonalds alone is enough to justify its existence as a company. Think about the millions of hours of time every day in the U.S.A.. alone a McDonalds saves. Never mind the entire globe. Because of this, the corporation well exceeds any issues that currently exist with McDonalds. Yes, even the obesity epidemic, which is a monumental issue (no pun intended). The benefit greatly exceeds the problem presented. 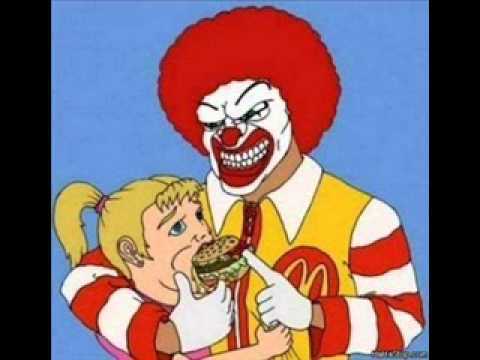 Of course a Keynesian economist or a Socialist would come at you and say: "Oh look at all the terrible things that happen because of McDonalds" because it benefits their argument to beat down a company like McDonalds. But yet you do not see the benefit of consumer surplus. You do not see that a consumer is willing to pay much more for even a crappy burger. Most people are willing to pay $10-$12 even if you are poor because you need food to survive, you are willing to pay huge amounts of money just to stay alive. Yet for some reason, that burger remains at $1-$2. You eat for little to nothing and you get it right away. Corporations are not evil, and consumer surplus is just as real as producer surplus. The corporation helps people a huge amount in comparison to any government hopes to create either through the red tape of bureaucracy, or through their military industrial complex. (Depending on whether you are leftist or right wing) The corporation simply produces. Now that is not to say that a corporation is free from all evils. Absolutely not. 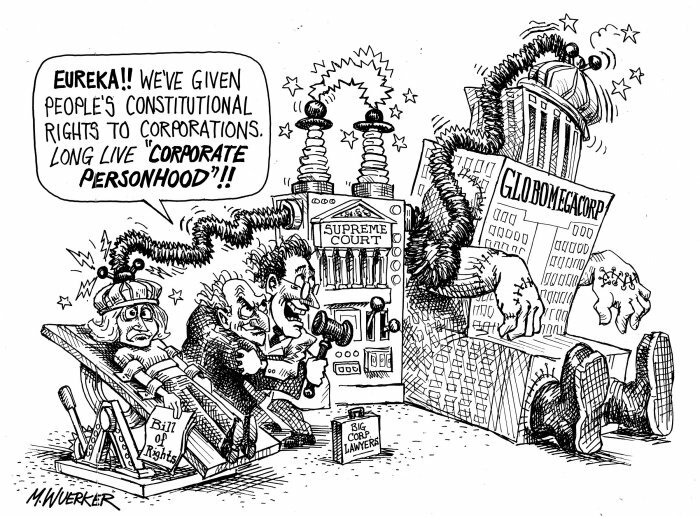 There are corporations that have come and gone because they caused more harm then good. Or that their use had now grown to become useless. Because of the advent of the internet, the free exchange of information, it is becoming increasingly difficult to be a corporation that screws over its customers. Because now all it requires is one passionate person to point out the evils of the corporation to send the company to its knees. Looking at documentaries like "Supersize Me" completely changed the fast food industry due to one passionate person with some great documentation. Other people like Louis Rossman and his fight with Apple is yet another example of a corporation seeing instances of problems due to their bad business practices. You just need an opinion, proof, and an account on your favorite website. Brilliant. Let us see how powerful this free-market capitalism works. Yet beware, if you see a corporation attempting to silence people through legislation, the problem is not that corporation -- but that government that allows the corporation to become unnaturally corrupt. A corporation cannot take your money from you. The government does that. A corporation can only request your money, and if their good or service is worthy, then and only then do they gain power. A corporation that takes your money by force is no corporation. That is a government assisted entity. A corporation that is bailed out by a government just breeds for inefficiency and destruction of new jobs to be created and new industry.